Home » Lecture » Video of Taruskin’s 2016 Lloyd Old Lecture Now Online! Video of Taruskin’s 2016 Lloyd Old Lecture Now Online! Posted by Foundation for Iberian Music on January 24, 2017 in Lecture, News, Past Event | Comments Off on Video of Taruskin’s 2016 Lloyd Old Lecture Now Online! Good news for all who were unable to attend our sold out 2016 Lloyd Old Lecture, with Richard Taruskin and Prof. Scott Burnham! 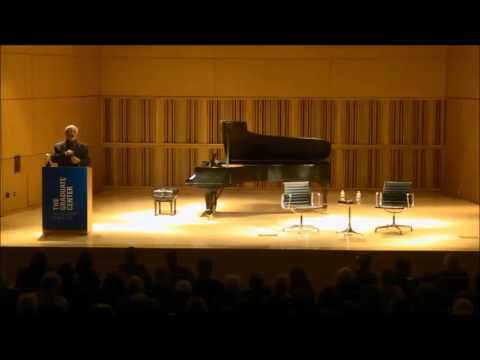 Taruskin’s thorough and provocative lecture is now online. The lecture featured musical guest Adam Kent, who performs a selection of Russian piano works. Last year’s lecture was a great success, requiring—for the first time in the series’ history—an overflow room to accommodate audience demand. We hope you enjoy this stimulating talk as much as we did.